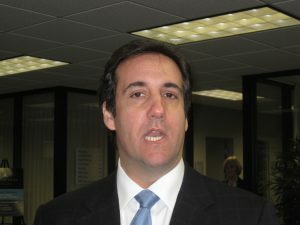 The FBI Raid on the Michael Cohen’s Law Office: An ‘Attack on Our Country,’ or an Example of the Rule of Law? The ACLU’s David Cole explains the difference.
. . . JW: Working for the president doesn’t get you immunity if you’ve committed a crime. DC: That’s right. If in fact there was not probable cause and the magistrate should not have issued the warrant, that issue can be litigated. But this is the way the law is supposed to work. It’s not an attack on our country; the president, by attacking the ordinary process of the rule of law when it applies to him, is the one who’s engaged in an attack.